Our Firm advises our South Florida clients on Commercial, Residential, Retail, Office, Industrial, Restaurant and Shopping Center Leasing matters. Our Miami-based team negotiates and drafts lease agreements for developers, brokers, investors, lenders, and managers, for both landlords and tenants. Residential Tenancies in Florida are governed by Florida Statutes Sections 83.40-83.683, also known as the Florida Residential Landlord and Tenant Act. Residential leasing often involves lease agreements for primary residences, vacation homes, or short term rentals. Our Miami team of real estate lawyers assists our clients in navigating through the Florida Residential Landlord and Tenant Act to achieve their residential leasing needs. Nonresidential Tenancies in Florida are governed by Florida Statutes Sections 83.001-83.251. 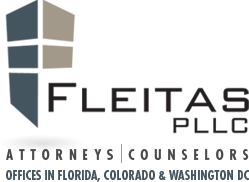 These sections apply to nonresidential tenancies and all tenancies not governed by the Florida Residential Landlord and Tenant Act. Commercial leasing matters often involve matters concerning: common area maintenance (CAM), real estate taxes, insurance, triple-net leasing, modified gross leasing, gross leasing, operating leases, sale-leaseback leases, build-to-suit leases, ground leases, and subleases. We have significant experience dealing with these issues, and counsel our clients on how to effectively structure their lease in order to achieve their goals. Whether it’s a Tenant looking to secure a long-term operating space or a Landlord looking to effectively structure an income stream, our commercial real estate attorneys know how to meet our clients’ needs in connection with any particular commercial leasing transaction.